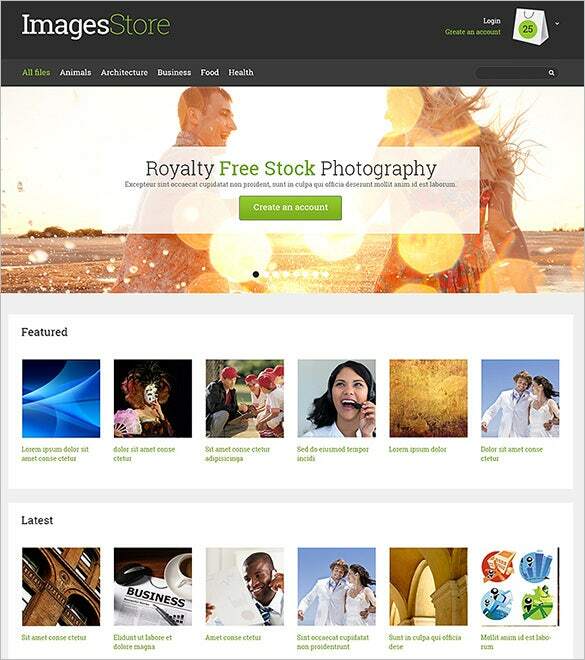 The extensive features of photography OpenCart Themes and Templates can be used for achieving a responsive website or blog. 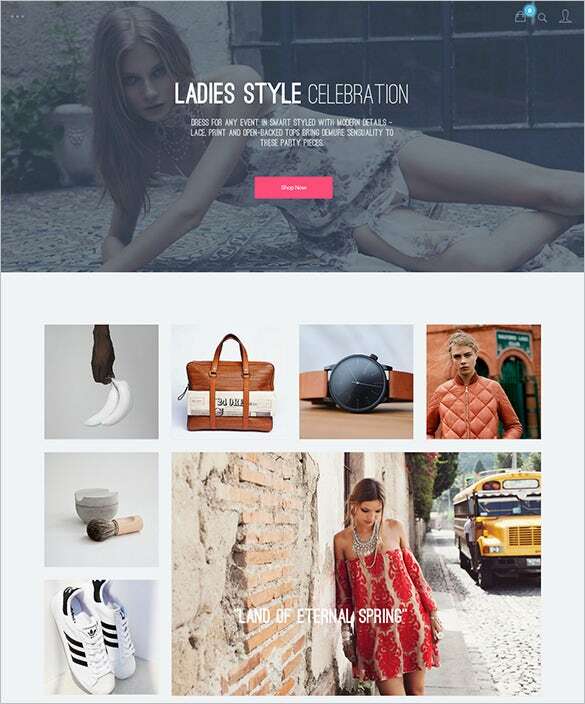 Download these premium templates which are loaded with features like favicon, sliced PSD, advanced theme options, mega menu, tool tips, categories accordion and much more.You may also like Photography HTML5 Themes. If you are looking to create a responsive photographic website or blog to take your passion for photography to the next level, you can download the ‘Photography OpenCart Theme’ and customize it to suit your needs. 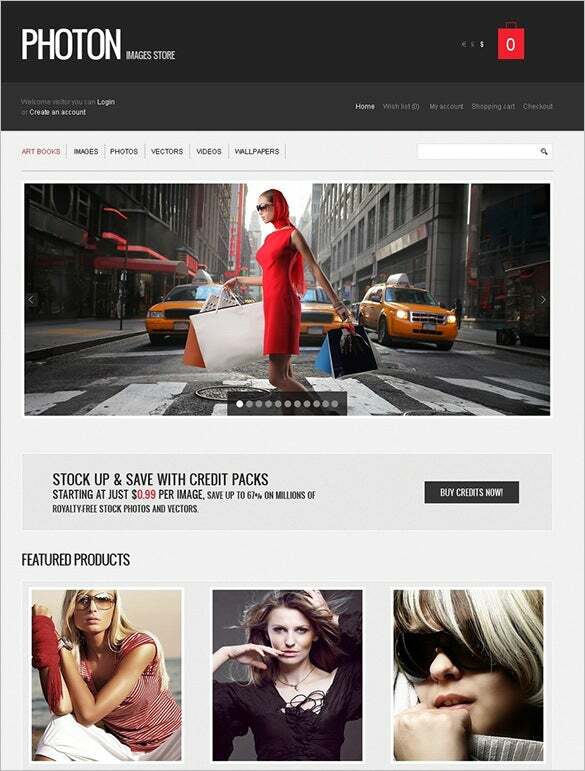 The ‘Premium Photography OpenCart Theme’ is one of the latest OpenCart themes and templates which can be downloaded, customized and used to create a responsive website or blog for photography. 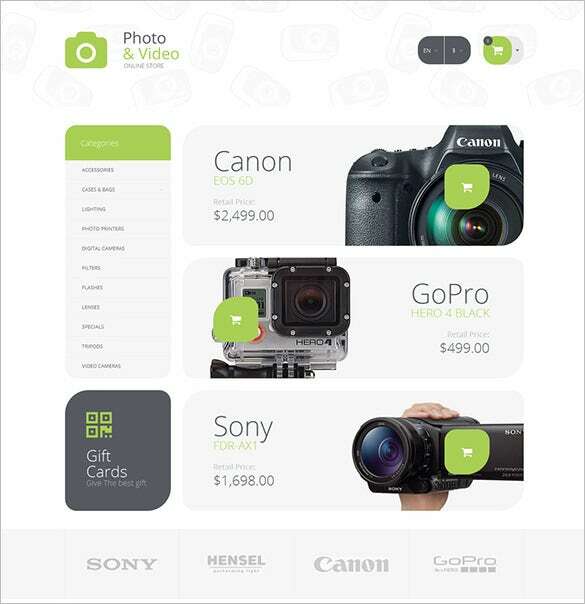 With the ‘Responsive Photography OpenCart Template’, you can make ample use of the extensive features of photography OpenCart Themes for your responsive website or blog and render excellent visuals to your photographs. 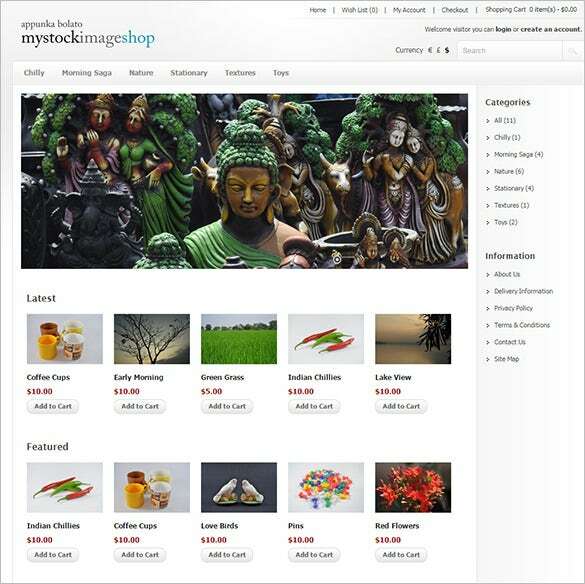 The ‘Stock Image Photography OpenCart Template’ format which are loaded with features like favicon, sliced PSD, advanced theme options, mega menu, tool tips, categories accordion and many more such features. 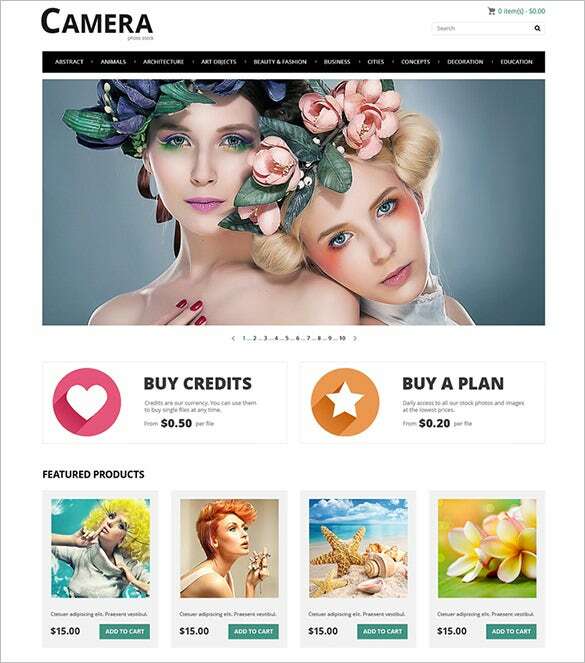 If you are looking to convert your passion to profession, you can download the ‘Photo Bank Photography OpenCart Template’ and render excellent creatives to your collection of photos on the web. 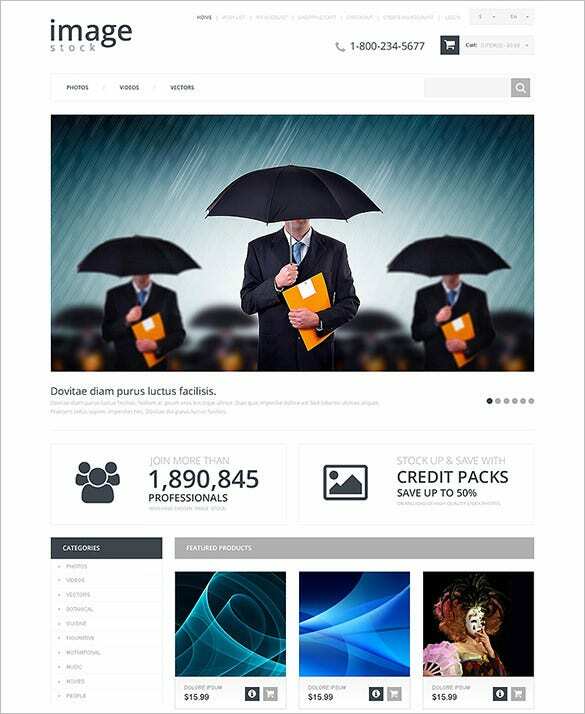 The ‘Photography Supplies OpenCart Theme’ makes sure that you obtain nothing but the best in class template designs for preparing a responsive website or blog which will display your photographs creatively. With advanced SEO ready functionality, these templates help to manage Meta data and are available in PSD and PHP file sources. These templates are multiple languages supportive property and are available in multiple column layered structure. Customize these templates easily with Adobe Photoshop CS+ software and help increase your traffic.